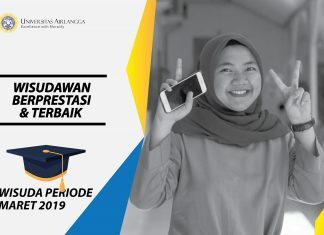 Organizations are very important for students, because organizations are a dimension of self-development. 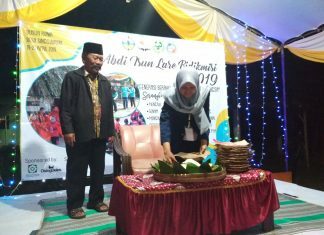 It was stated by Akbar Maulana Al Ishaqi, Head of Universitas Airlangga (UNAIR) Faculty of Fisheries and Marine BEM (KABEM) in 2019. 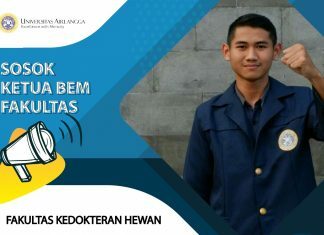 According to him, self-development that needs to be honed is soft skills. 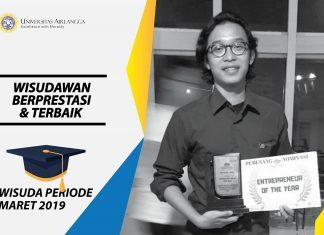 Raden Joko Kuncoroningrat Susilo was named best graduate of Faculty of Science and Technology. 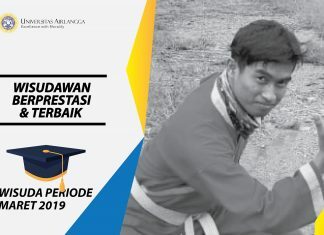 Joko successfully graduated with 3.88 GPA in March graduation. 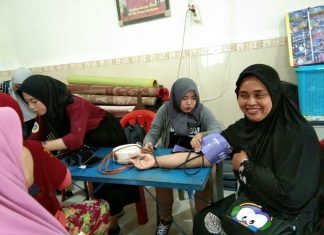 Farhan Vidi Amanullah or familiarly called Farhan started his business by establishing UD. 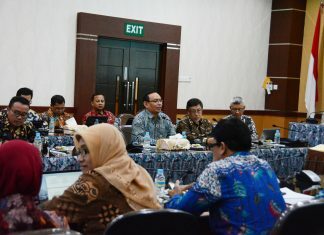 Ihtiar Jaya in 2016. A store focused on selling teak wood furniture with various model. 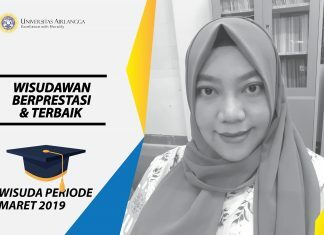 Actively participating in various dental medicine competition led Aisyah Rachamdani Putri Gofur to receive a prestigious award as the outstanding graduate in Faculty of Dental Medicine (FKG) Universitas Airlangga for the period of March 2019. 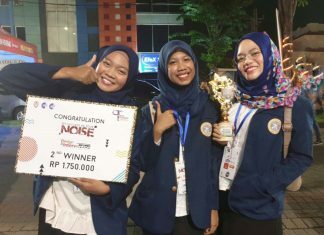 "The peak of my achievement during my time in college when I got scholarship from United States government to study at Brown University for 40 days." 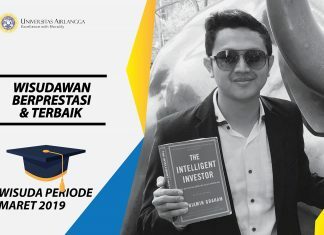 said Reno Albra, an outstanding graduate in Faculty of Economics and Business in the period March 2019. Abdul Aziz loves joining various martial arts championships. 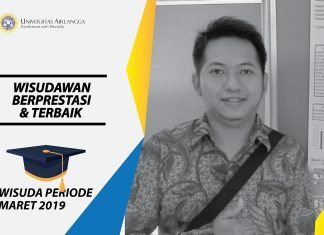 He succeeded in getting a very prestigious award, being an outstanding graduate of Universitas Airlangga Faculty of Fisheries and Marine Affairs (FPK) for the period of March 2019. 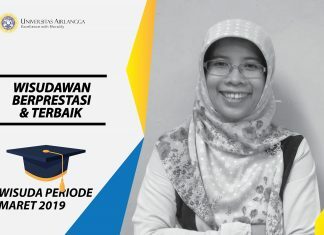 Renny Oktafia successfully completed her doctoral study with a dissertation entitled 'Linkage of Economic Activities Based on Islamic Sharia with Local Culture and Its Impact on Community Welfare in East Java'. 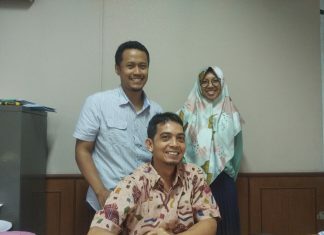 The graduate, familiarly called Renny, conducted research in three cities: Kediri, Jember, and Malang. 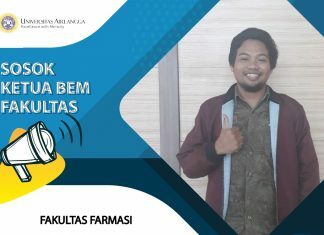 It's been two months since student of Faculty of Pharmacy (FF) Universitas Airlangga (UNAIR) welcomed new leaders. 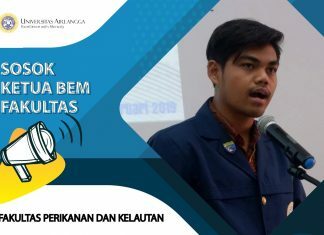 For two months, Kabinet Baskara has functioned as a Student Executive Board at FF UNAIR.